''It's bigger on the inside!'' The spacious entry and sizable hallway will make you walk through with arms outstretched and eyebrows raised. Soothing wall colors with clean white trim exude peaceful tranquility in every room. Master bedroom has a huge walk-in closet and offers an en suite equipped with walk-in shower, soaking tub, and double vanity. Across the hall are three bedrooms and a guest bathroom. The open-concept kitchen, dining and living spaces streamline family fun and fellowship while the flagstone backyard offers additional space for entertaining. Generous storage closets, dedicated mud room, and modern fixtures appeal to the functional and the fashionable. 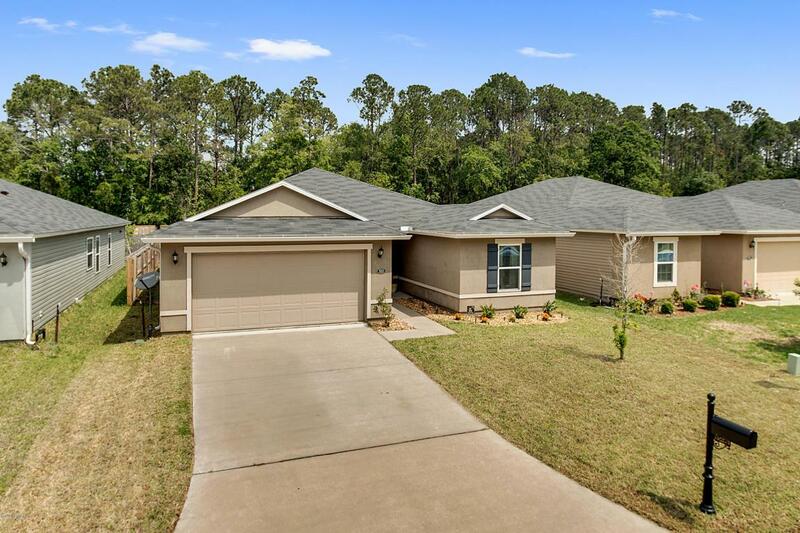 This newer home has been both well-maintained and well-loved.